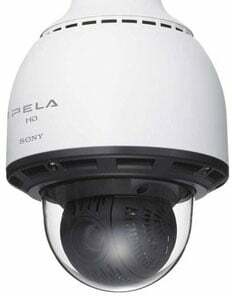 The Sony-Electronics SNC-RH164 is a network HD rapid dome camera supporting H.264, MPEG-4, and JPEG compression formats, that deliver excellent picture quality at HD resolution (1280 x 720, 30 fps) in 16: 9 aspect ratio. Packed with a host of features and capabilities such as XDNR for clear low light images, and Visibility Enhancer to allow viewing of high contrast images. They allow users to clearly capture images that have proved challenging in the past. The Sony-Electronics SNC-RH164 opens up a whole new world of video security applications, such as casino surveillance, town monitoring, and traffic/highway observation to name just a few. Sony hit it out of the park with this new line of camera. The Sony Electronics SNCRH164 is also known as Sony	SNY-SNCRH164	.